We have had great success in recent counter-poaching operations has been the SAWC’s“high-speed” free-running pack- hounds. These dogs are proving so effective in poacher apprehension work that the College has had to take additional security measures to protect the dogs from potential poacher attacks. Following the arrival of the first group of hounds from Texas onTuesday 10 July,a further 10 dogs arrived. Renowned Texas Houndsman, Joe Braman has assisted the SAWC immensely with training and operational requirements with the new K9 initiative.“When I found out what is really going on in Southern Africa, how serious and destructive the poaching crisis is, I thought‚ if I can do something to help‚ I’m going to do it‚” Braman said. He has 35 years’ experience working with dogs to help wildlife conservation. Braman has donated 20 of these dogs to the SAWC K9 unit which will have a huge impact in future counter-poaching operations. The crossbreeds are trained‚ free-running pack dogs that will join the existing College pack dog unit. These dogs are also trained in apprehension work and will actively help rangers stop poachers in their tracks. 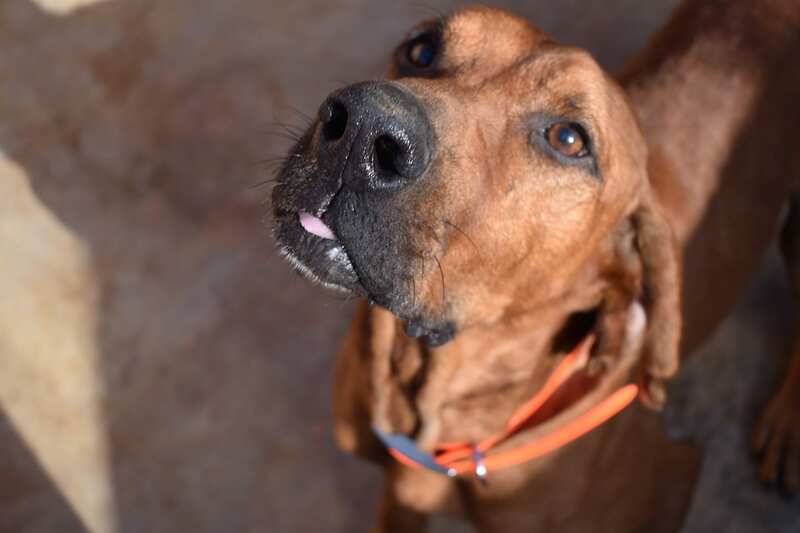 The reason these dogs were brought in from Texas was that they come from a long line of tracking dogs, trained specifically to track human scent. The dogs are used in law enforcement across the USA and have a very high success rate. Tracker dogs on leashes are often used to counter poaching‚ butusingfree running pack dogs is a relatively new development. Their top speeds can reach about 40km/h over short distances and they can cover 30km in two hours. Adding tracker dogs to the field ranger teams has really changed the game‚ but as their successes increase‚ so to do the risks they face. “They’re real conservation heroes that complement the work being done by field rangers, through aerial support and within communities, as part of our four-tiered approach to counter poaching. We can’t wait to see what these new additions from the US bring to the team, said SAWC CEO, Theresa Sowry. You can support our efforts to build new, secure kennels here. Thanks to all donors who have already contributed.